Sistema sem Fio Fonestar MSH-206. 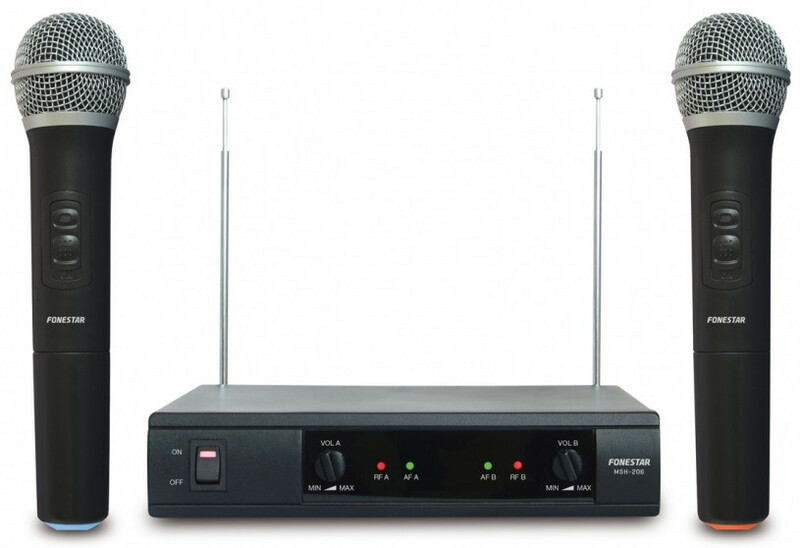 2 wireless hand-held microphones with high quality unidirectional dynamic capsule. 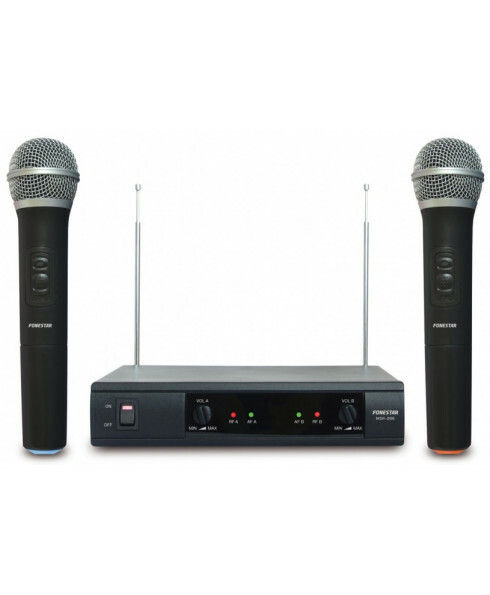 2 wireless hand-held microphones with high quality unidirectional dynamic capsule.